When I was asked to share about my favorite memory from camp, I didn’t know where to start. There are just so many great memories!! My name is Beth Castile, and I am the special needs ministry leader at Valley Church. I have been on the WMFC planning team since 2015. One of my main roles is communicating and connecting with the volunteers. I’m always amazed at God’s faithfulness in providing the variety of workers needed to make this event successful. We all come with different backgrounds, different stories, and different gifts. I love to see these gifts used to honor God and bless others. I feel honored to get to hear these stories as I serve with the volunteers. God has a plan for each of them, and we certainly have a purpose for each of them! I enjoy seeing how this puzzle comes together. For example, one family reached out because they wanted to serve together. They had adopted a young girl from China. Perfect! I paired the mom and daughter with a camper who was also adopted from China. An instant bond was formed, minds were set at ease, and a relationship blossomed. 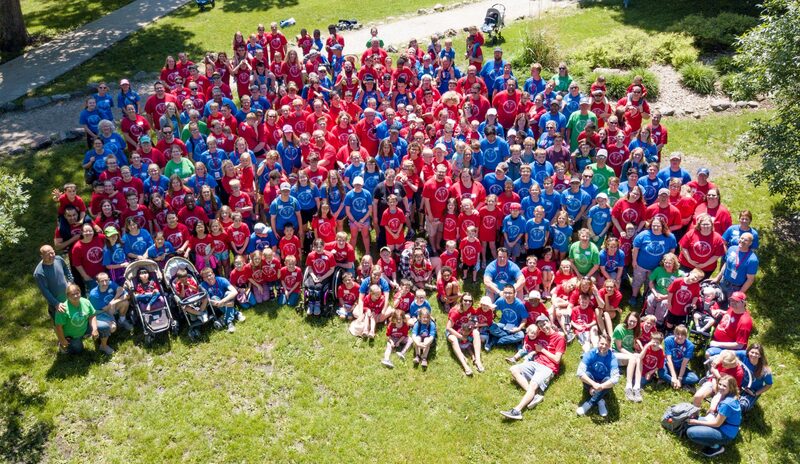 The father and older daughter of this family served together in a different capacity, but the whole family really connected with this camper and her family. After camp ended, the volunteer family asked about connecting with their camper. That’s what I love–seeing God in the details to make a lasting impact and form those bonds. Another volunteer that served for the first time in 2018. He had a camper that was more active and was worn out each day. But the volunteer loved it and was grateful to be with his camper. He thought about his campers’ parents; they have to be exhausted all the time! He was glad the parents got some rest and connected with each other. He now knows how valuable that time is for parents and now helps at Valley Church respite events. He even was a one on one buddy for a high school student on the church’s fall retreat. Finally, I am blessed with children of my own who love to serve, especially at the Wonderfully Made Family Camp. To see their hearts grow for others and sharing the love of God so campers can have a full camp experience is priceless! Whether my kids are telling a puppet story, helping with a craft, carrying food trays, flying on the giant swing, paddling a boat, chasing campers across the grounds, or sitting together, they enjoy every moment. They know they are making a difference, and their enthusiasm is contagious. They are excited to encourage their friends to volunteer at camp, run the WM5K, or help at a respite event. Their excitement shines the love of Jesus on others. Previous PostPrevious 2019 WMFC Registration Now Open for Volunteers!